Was the WRAP UP SMEAR Used on Trump? Home Government Was the WRAP UP SMEAR Used on Trump? We all know that smearing someone can be a tricky thing to do without getting caught. 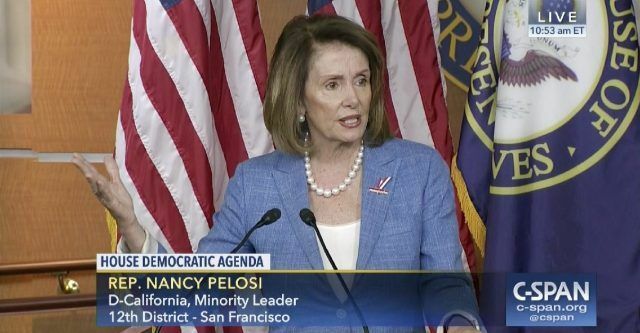 Speaker of the House Nancy Pelosi has some information to share. Yes. she knows what it takes to SMEAR anyone using what she calls the WRAP UP SMEAR. I believe that this tactic was used on President Trump to create what we know as the Trump–Russia dossier, which is also known as the Steele dossier. This dossier was allegedly created as the insurance policy that FBI employees Peter Strzok and Lisa Page texted each other about in regard to then candidate Donald Trump potentially winning the presidential election in 2016. I found this video of Pelosi speaking to a training class. In it she talks about how the WRAP UP SMEAR tactic is used. She knows all about how it is used for a very good reason. I believe that she has used it and will do so again. Remember, she is the third most powerful politician in the country. She is the Speaker of the House and third in line for the Presidency. So, Pelosi has stated that the WRAP UP SMEAR is used when a Politician demonizes something with falsehoods and then it is reported by the mainstream media, as if it were true, and then used as a merchandising tool to be used by the Politician because it is written up by the press. It has validation because it was written up and is now in the media. There you have it. This is why having reporters write about what you say is important. This is too easy to do when you have the media on your side.